All Muslims aim for Jannah as their eternal life and hope to avoid entering Hellfire. The Quran contains many verses which speak about the unlimited eternal blessings of Paradise as well as and warnings from the severe humiliation in Hell. As we get encouraged to do good deeds when we learn about the beautiful description of Paradise, learning about how Hell looks like can help us stay away from being unjust to others or to ourselves. One day we will all die and will be resurrected. We may end up in the blessings of Paradise for eternity or in the severe humiliation in Hell for eternity. That depends on whether or not we obeyed Allah in this Dunya. 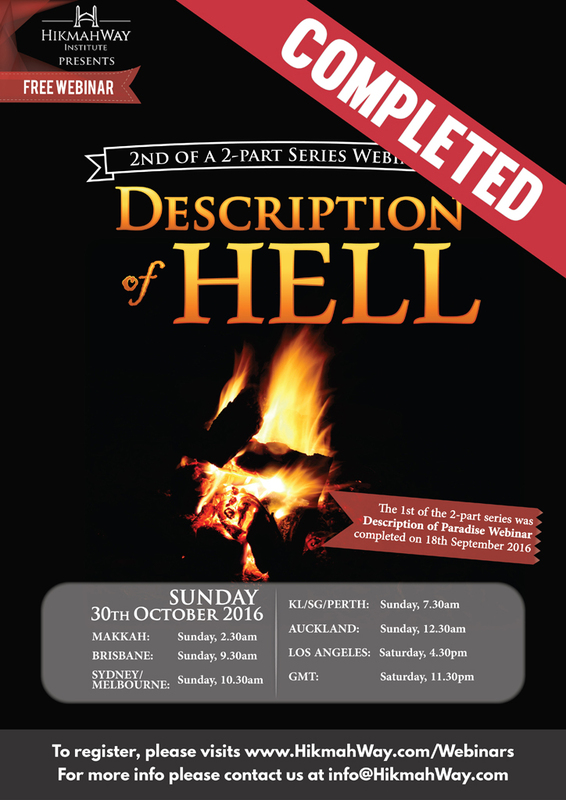 Let’s learn about how life in Paradise and Hell look Iike so we may strive hard to be good and avoid doing bad to ourselves or others. 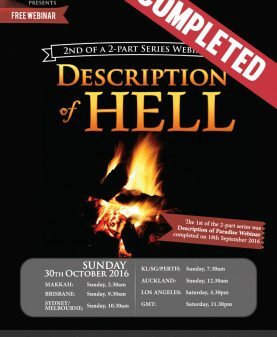 Join our 2 part-series of Free Webinars on the topic of “Description of Hell” and educate you, your family and friends in preparation for our Hereafter. Register now to our free webinar below.